This is a Molly Harper book, in all rights I should have LOVED it. I love just about everything Molly Harper writes, how could you not, they are usually so funny and the characters fun. In this case, I am sad to say I just liked this book. It was ok, but a little hard to get into. A lot of the usual humor is missing and Harper was bringing together two couples instead of just one and it was a large undertaking. 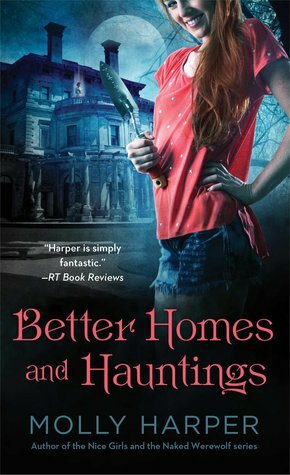 Throw in some ghosts, a weird house and a mystery to solve and Harper may have bitten off a little more than she could chew. She was a little spread thin so none of the characters got to be as developed as they should have been. Don’t get me wrong there were some amusing moments and the characters were still likeable but it was not up to the Molly Harper standard. Aw that's sad to hear! I bought this one sometime ago and have yet to read it. It'll be my first Molly Harper book. I read some good reviews of this, and I love a good paranormal mystery! Just have to wait and see I guess! Nice review!